A public school long slated to be built near a toxic site in Greenpoint could be changing course, as talks are in place to possibly move the school’s location somewhere else within the neighborhood. 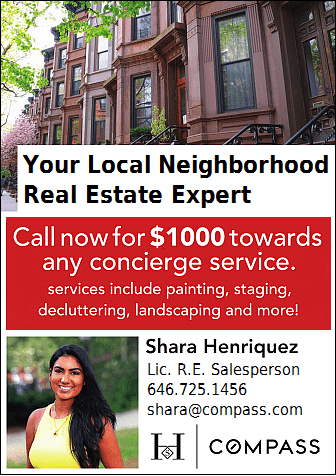 Council Member Stephen Levin told attendees at a local State Department of Environmental Conservation meeting last week that he has started conversations with area developers on possibly building the long-planned public school on one of their lots—away from its pegged location across the street from the former NuHart Plastic site. 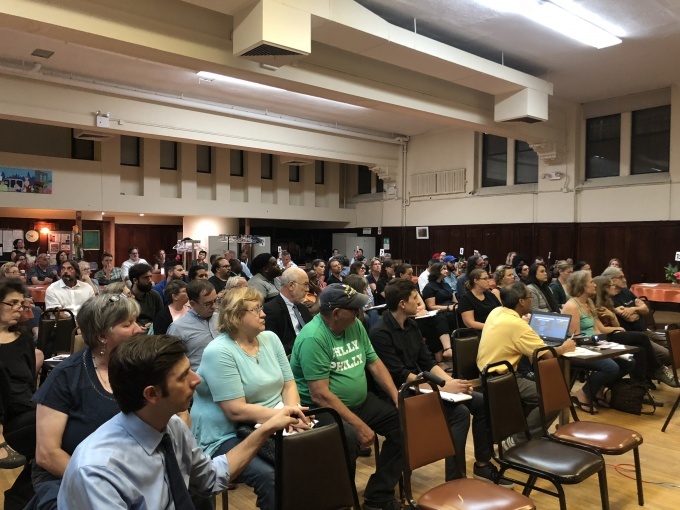 “I did have one developer that I’ve spoken with…respond somewhat favorably to the idea,” Levin told dozens of neighborhood residents at the Oct. 4 meeting. The former factory site, on the state Superfund list since 2010, is inching closer to a full cleanup, with the DEC holding a public forum for residents last Thursday to learn more and comment on the proposed cleanup process. 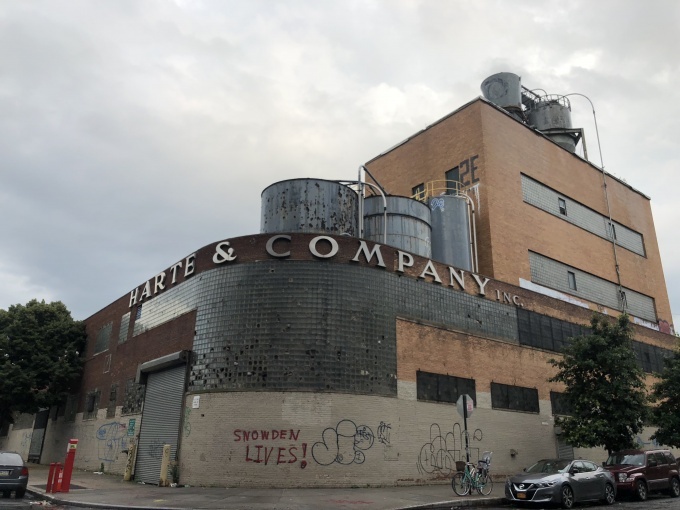 But the Superfund site has also become linked to the public school planned for years to be built across the street as part of the massive Greenpoint Landing development. The site, while not contaminated itself, is close enough to the toxic factory to have scared many residents, who have demanded that the school’s location be moved. Levin added at the meeting that talks have also started with the School Construction Authority, the Department of Education, and the mayor’s office about the school siting. 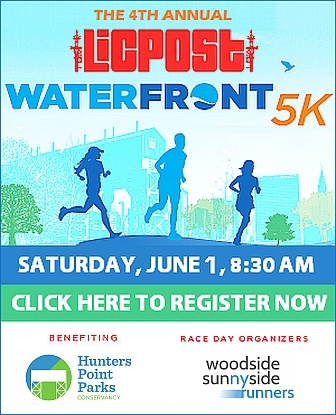 “It’s obviously not [the SCA’s] first choice because they had already engaged with Greenpoint Landing,” Levin said. The search is also on, he added, for under-built or un-built sites in the area that might be appropriate locations for the school. Another location within the Greenpoint Landing development for the school, he said, is also being looked at. The news was met with a round of applause from attendees, although Levin did not reveal which developers he has spoken to. 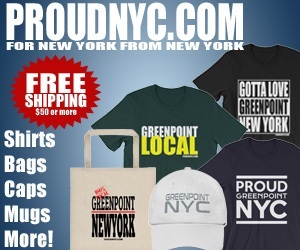 He told the Greenpoint Post, however, that the developers are within the Greenpoint area. “To me it’s preferable to move the school to another site,” Levin said. He anticipates to have concrete answers near the end of the year or soon after. “It’s the kind of thing that can’t be done overnight,” he said. 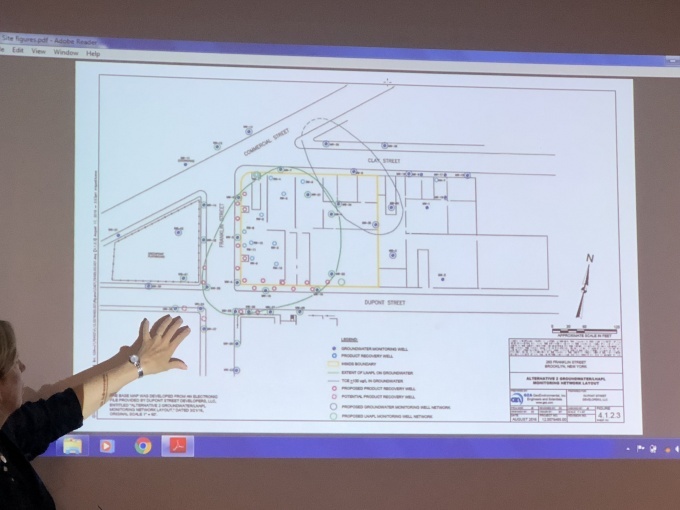 The school update follows a community meeting held months ago on the status of the two projects, where it was explained that the five-year pause on the school’s construction was related to the toxic site. The toxic site itself, meanwhile, is transitioning to new developers who have plans to build a two-tower project at the location. A major cleanup, however, is first required, with a proposed process now in place. The proposed remedy generally includes workers digging up the contaminated soil from under a pressurized tent, disposing of the material off-site, and installing barriers and wells around the toxic site and off-site spillover to prevent further spreading. Some chemicals in vapor form, however, can move into overlying buildings and affect indoor air quality, the DEC said. The proposed remedy plan, however, is supposed to address and mitigate the possibility via vapor extraction and the installation of slab systems in affected buildings to capture and remove vapors before they reach indoor air. Attendees at the DEC meeting had questions about the proposed remedy ranging from monitoring and publicly sharing air quality readings, containing contamination, noise, and accountability. Assemblymember Joe Lentol, who was also at the meeting, recommended that the DEC pay for an independent engineer to help the community navigate through the project in response to concerns. The DEC will respond to all comments and questions made at the meeting in their Record of Decision (ROD), which spells out the exact cleanup method and mitigation efforts for the toxic site. The ROD is expected to be released by the end of this year. It is unclear how long it will take to carry out the cleanup at this point, although the DEC notes that the timeline will be included once remedial design plans are finalized. The agency said, however, that the cleanup will likely be a multi-year process beginning in January 2019. The developer, which filed plans for the site in July, anticipates that the two towers will be completed in 2021.